Sales training for dealer and printer sales force : How to sell value versus price. Why Change when Things have been successfull in the past ? We grow companies (Print, Ink, Media, finishing manufacturers Graphic dealers and printers) and drive their business faster than their competitors. We have 20 years experience in channel partner business development, management, motivation. The question that need first to be answered when developing your business, in Europe as example, is to define what model will work best? What will be the value chain that will attract the best channel partners and the most profitable customers? 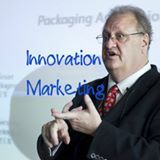 We have a well established methodology that can answer your questions on what you should innovate in your business model, to grow it profitably.We are based in Brussels Belgium at the heart of the EMEA region we serve. We grow your company and drive your business faster than your competitors,with innovative channel management programs. Prior to develop these innovative channels we will craft them in Business Models that work, and Value Propositions that sell, using the Rebootmoments workshops. (we are certified on strategyser Business model methodology). The Value Proposition Canvas helps you tackle a core challenge of your business — creating compelling products and services customers want to buy. Business Innovation helps develop your business. We have 20+ years experience in channel partner business model development, management, and motivation. Is your business growing faster than your competitors? If yes skip this text ! If not, consider implementing a innovation business model process and win new profitable business, every year. Looking for new business models to accelerate your’s? Contact us today! Ask about our 100% satisfaction garantie. Vos managers sont responsables de la motivation de vos équipes ! Les marques peuvent-elles lutter contre Amazon ? Want to be notified monthly when a new article on business (print) innovation is published? Enter your email address and name below to be the first to know.